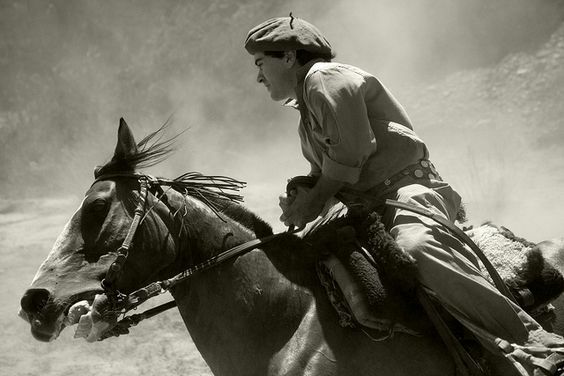 To be a gaucho means to be honest and kind to all living creatures. Now in his seventies, Heraldo Riel became a gaucho at the age of nine just like his father before him, and has stayed true to the spirit of his profession while in the midst of a rapidly changing world. 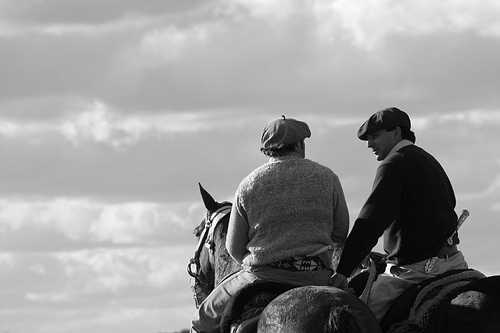 This is a beautiful story about being connected to nature and oneself, set in the stunning landscape of Patagonia, Chile, made even more intensely beautiful through the meditation that solitude brings. 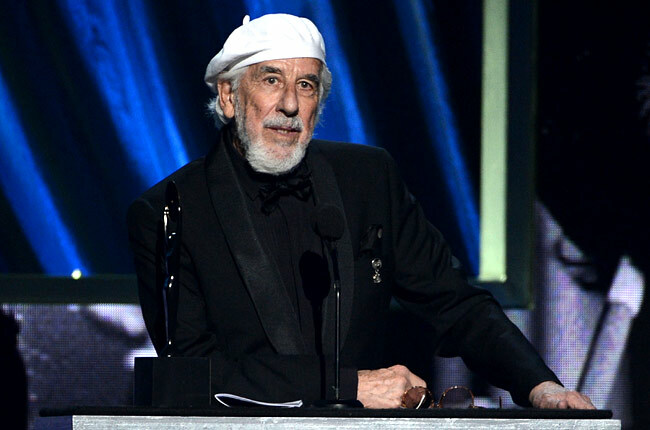 Lou Adler (1933) is a Grammy Award-winning American record producer, music executive, talent manager, songwriter, film director, film producer, and co-owner of the famous Roxy Theatre in West Hollywood, California. 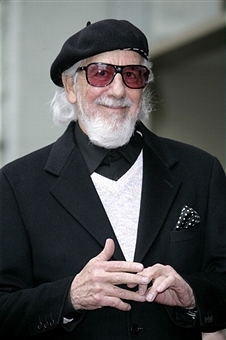 Adler has produced and developed a number of iconic musical artists, including Carole King, The Mamas & the Papas and The Grass Roots. King's Diamond-certified album Tapestry, produced by Adler, won the 1972 Grammy Award for Album of the Year, and is widely considered one of the greatest Rock & Roll albums of all time. Samuel Willenberg, nom de guerre Igo, (1923 –2016) was a Polish-Jewish prisoner and Sonderkommando in the Treblinka extermination camp who participated in its perilous prisoner revolt. 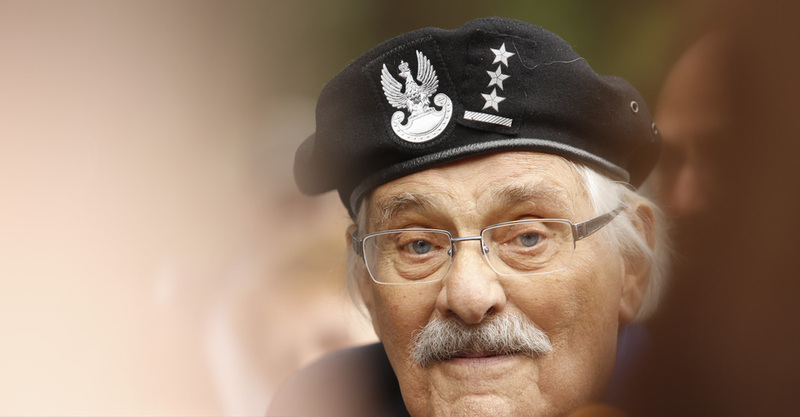 He took part in the Warsaw Uprising before the war's end. 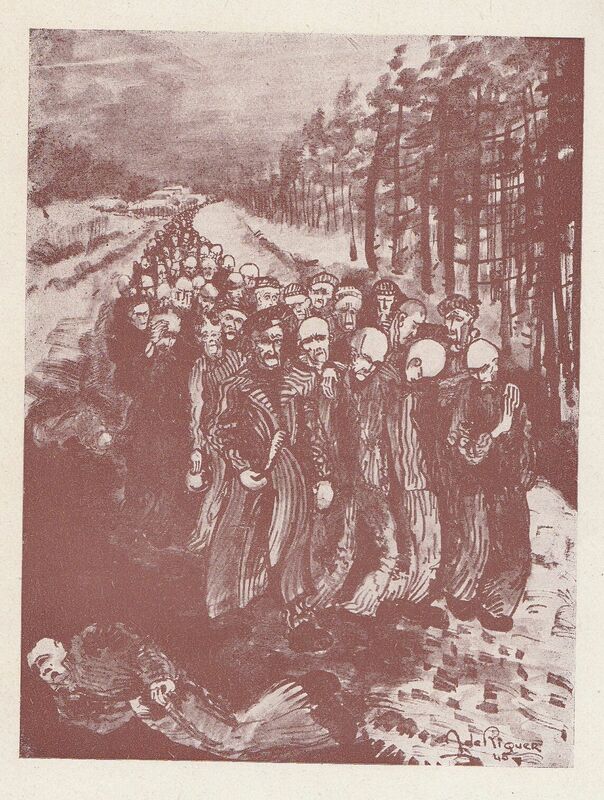 Willenberg was the last survivor of the August 1943 Treblinka prisoners’ revolt upon his death. 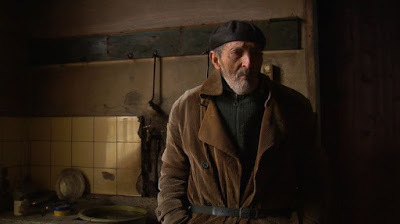 After the war he lived in Israel. He received the highest of Poland's orders including Virtuti Militari and the Commander's Cross of the Order of Merit awarded by President Lech Kaczyński. 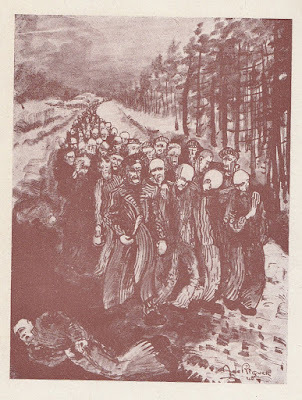 His memoir, titled Revolt in Treblinka, was published in Hebrew, Polish and English between 1986 and 1991. He was a sculptor and painter. Willenberg with his Treblinka studies at the Treblinka Museum permanent exhibition. 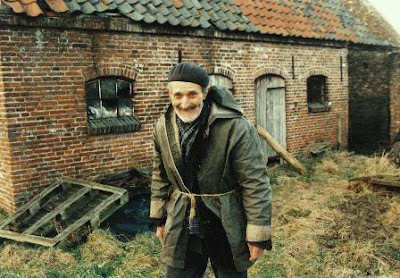 Peer (Petrus) Smulders was born shortly after the First World War, and never moved from the family farm since. He grew up in a family with four sisters; one became a sister in a monastery in Schijndel, with which she became the pride of the Catholic family. There was also an older brother, but he died as a toddler from measles. 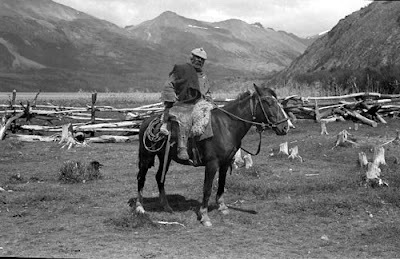 Peer thus grew up as the only son on the farm. His parents were strict, and he was obedient. Before he cycled to school, little Peer had been plowing the land for two hours. They kept cows, some horses, and they grew some corn. Peer soon knew no better than that he would run this family business for the rest of his life. "If I can no longer care for my cows, I do not have to be here anymore," he said. 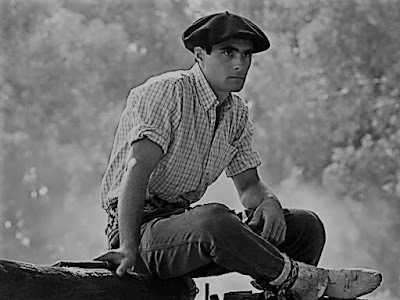 His parents both died in their eighties, but that was already in 1955 in 1956, more than sixty years ago. Pear was left alone on the farm. Time stood still since then. For him no large-scale farming, milking robots, or other modernities. Smulders continued to care for his red/white cows in 2017, just as he did in the fifties. 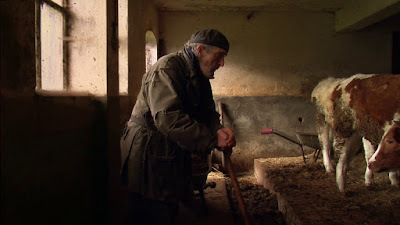 He fed them with a prong to eat silage, cleared their manure with a big shovel, and drove the manure to the heap with a wheelbarrow. 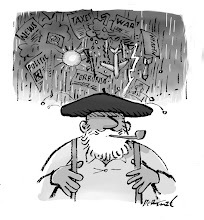 Peer was a content, old-fashioned man. 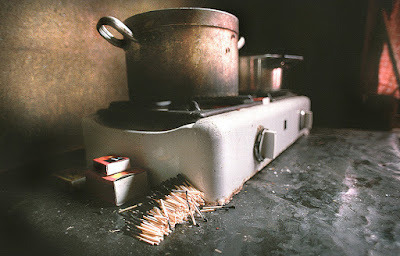 He cared for his cattle, read the local weekly newspaper and crept close to the wood stove in the evening. In that life there was no place for a woman, even though he would have liked to meet 'the real one'. Then they could have had sons together, to take over the farm. Peer Smulders was born on May 19, 1920 in Maliskamp (Netherlands) and he died on July 8, 2017 in Maliskamp. 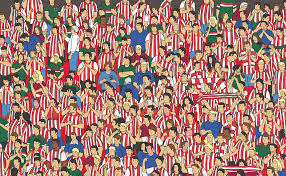 Similar to the famous "Where is Wally?" 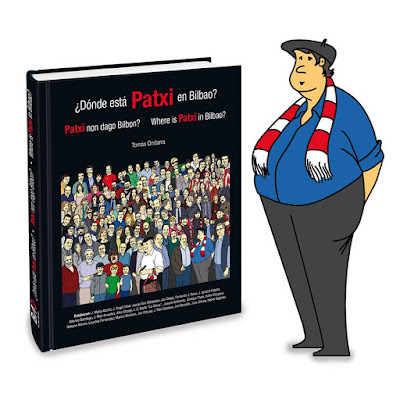 books, "Where is Patxi in Bilbao?" 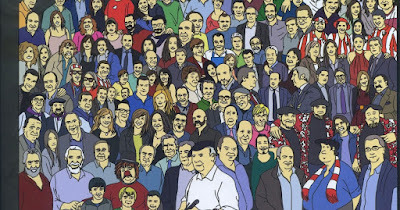 is a picture book with in every picture a tiny Patxi hidden. 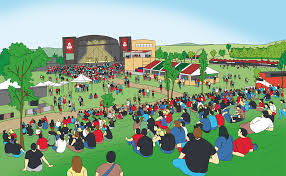 The book shows the most representative and large events in Bilbao, such as the Guggenheim Museum, the Atrium of the Alhóndiga, the Santo Tomás Market, the BBK Live Festival, etc. Language is not much of an issue in this book that is all about the pictures. Get to know Bilbao looking for Patxi. 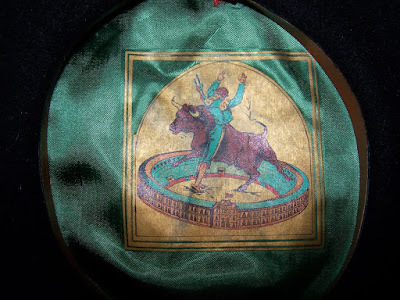 Following yesterday's post on matador Morante de la Puebla, here some evidence that bullfighting must have been quite popular among beret wearers at some stage. The label below is actually a contemporary model by Hills Hats from New Zealand. Despite the label stating otherwise, the beret is actually made in Pakistan and then lined, labeled and packed in New Zealand - that way being legally allowed to claim "Made in NZ". 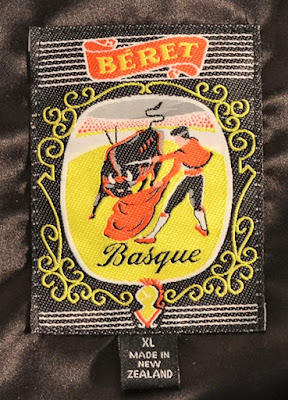 I am not much of a bull-fighting fan (to state it mildly), but boineros are boineros and since I am the self-appointed chroniquer of anything beret, bullfighting has it’s place here. 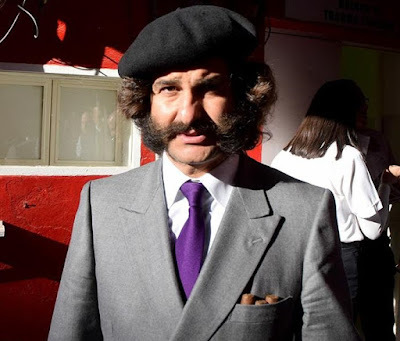 José Antonio Morante Camacho (1979) artistically known as Morante de la Puebla, is a Spanish bullfighter. Morante is a baroque bullfighter, known for his very particular style. 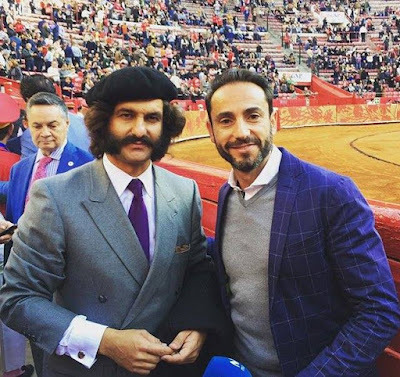 For example, he is the only current matador to wear a natural coleta; his clothes show great originality and are aesthetically at a high level (for bullfighting fans, that is). 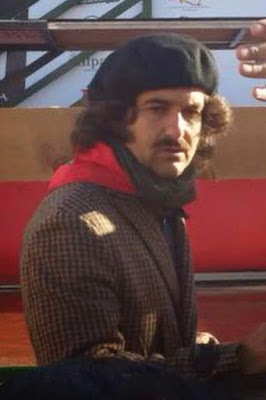 Morante de la Puebla, withdrew from the ring due to mental problems in May 2004, acknowledging that he had been under treatment for a year and a half. He returned to the ring of Reyes in 2008, but announced his definite retirement on 13 August 2017. His main reason that he is bored and society is not in favour of bullfighting (anymore). 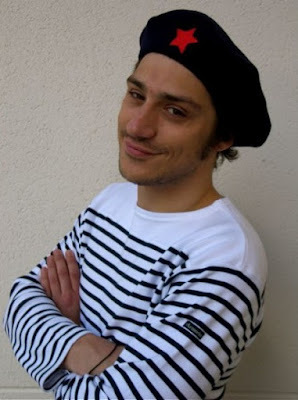 Say ‘French’ and most people will conjure up a picture involving stripey tops, baguettes, a cigarette and yes: a beret. 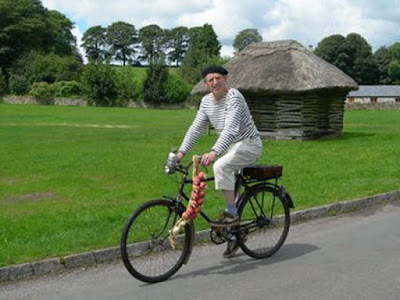 A cliché that took hold in (especially the Anglo-Saxon) worldview and researching berets on the web, it’s the most common result I usually come across: a fashionable girl in a marinière with beret. 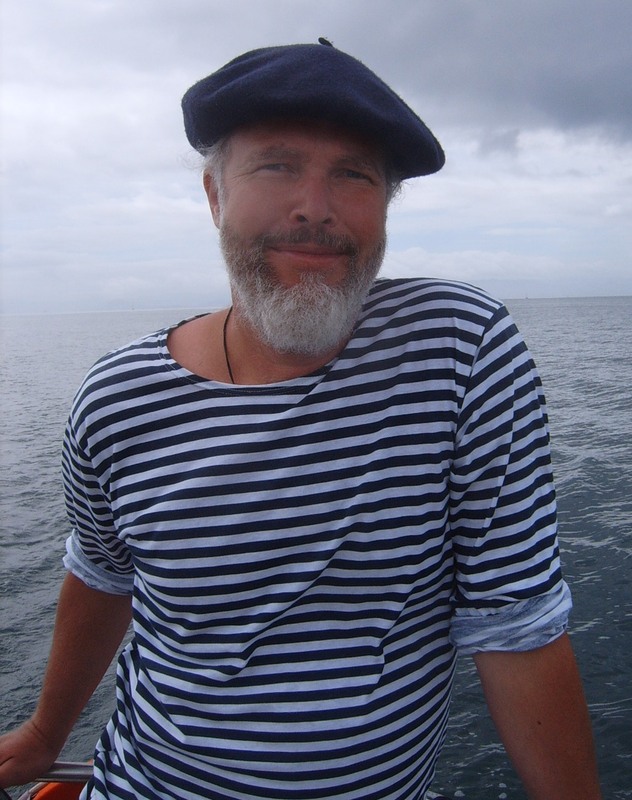 And although I quite like my own marinière, the constant questions “are you French/artist?” really put me off from wearing it. 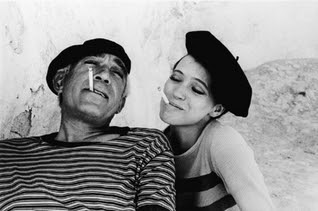 Picasso is often pictured in cartoons or referred to in texts as wearing a beret and a marinière, but I still have to find a photo of him wearing both at the same time. 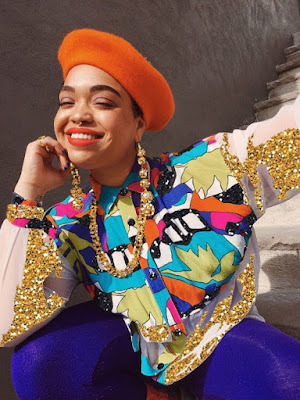 Meet Jaraé Lenore Holieway, Freelance model, artist, stylist & Boinera. “Born and raised in Southern CA, most kids get into acting or modeling at a young age. When I was 10 I attended a modeling school, like the ads you’d see in the back of a teen magazines. I wanted to be a star, because I didn’t see too many girls like me on TV. As I got older my interests changed, I focused more on visual arts and sports. Now here at the beautifully blooming age of 23, it’s funny how things have come full circle! 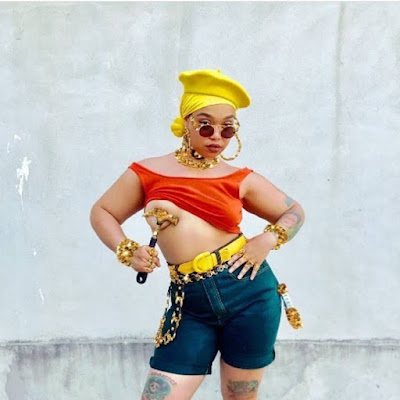 I tell people “I want to model, and style”, “I want to be a change in the fashion industry” but it’s deeper-rooted than that. Arturo Di Modica (1941) is an Italian artist, born in Vittoria, Sicily who became a US citizen. 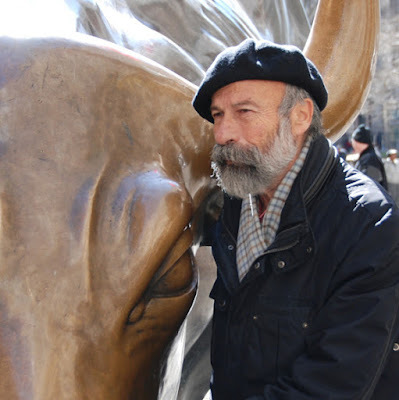 He is best known for his sculpture Charging Bull (also known as the Wall Street Bull, in reference to Wall Street), which he installed without permission in front of the New York Stock Exchange in December 1987. The work cost US$350,000 of the artist's own money. 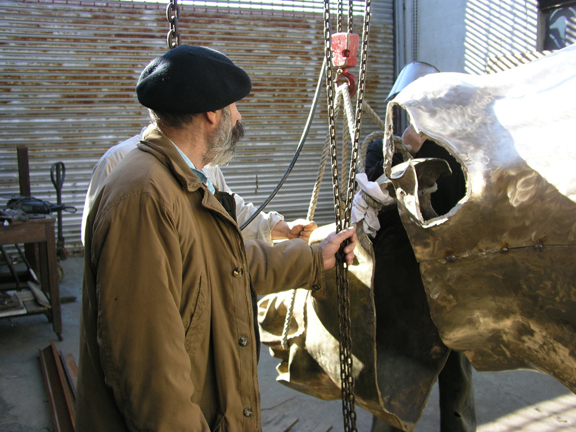 The three-ton bronze piece is in its current location on loan to the New York City Department of Parks and Recreation. 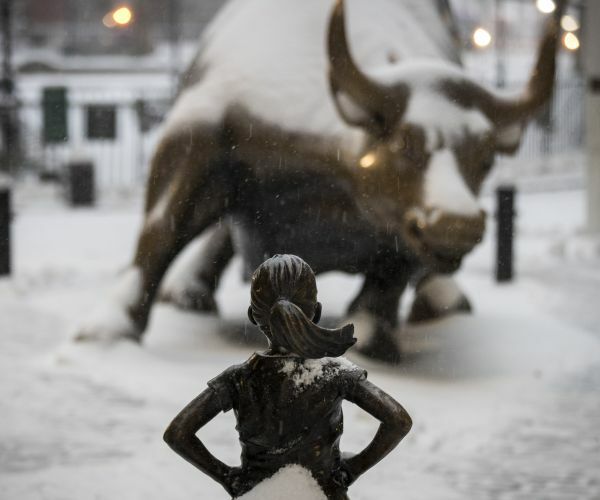 A statue of a defiant little girl, created by American artist Kristen Visbal, was placed in front of Wall Street's Charging Bull to challenge the 'traditionally male environment' of the industry, on International Women's Day. 'Know the power of women in leadership', reads a small plaque on the cobblestones near the statue’s feet. 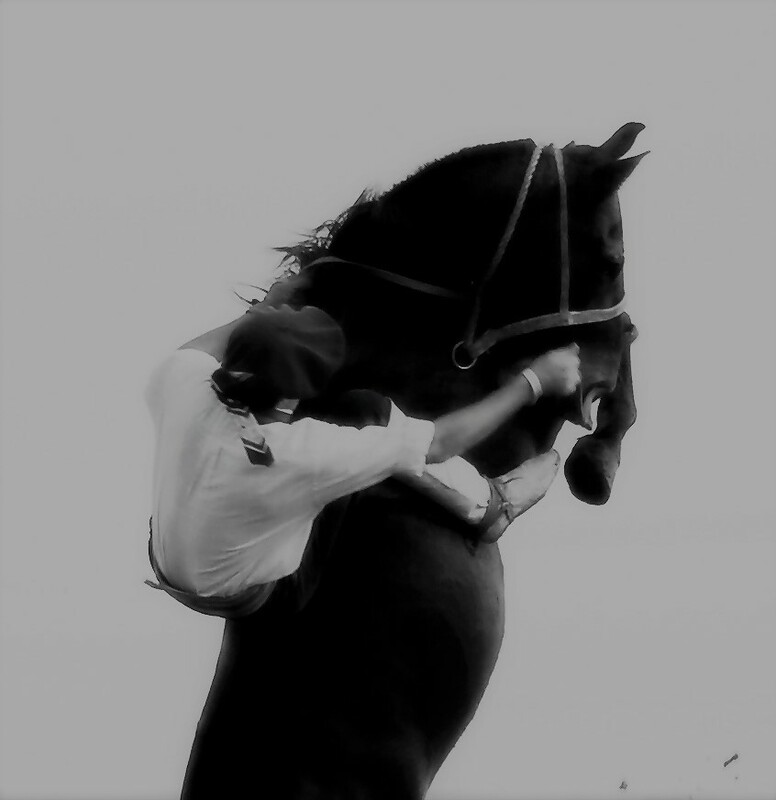 'SHE makes a difference.' The project was arranged as a message to their fellow Wall Street entities: Hire more women. Visbal was quoted by the Wall Street Journal as saying: 'Wall Street is a traditionally male environment and it says, ‘Hey, we’re here’. 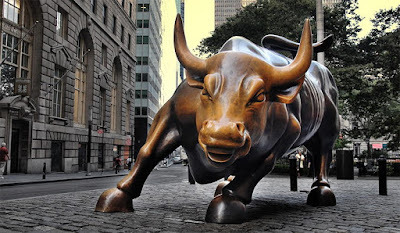 In 2017, Di Modica opposed the installation of the Fearless Girl sculpture across from his bull, calling it an "advertising trick" created by State Street Global and the advertising firm McCann. 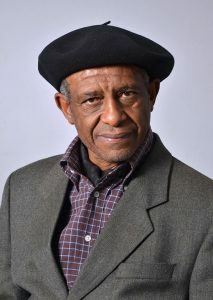 Mogobe B. Ramose’s area of research is philosophy, political science and international relations. 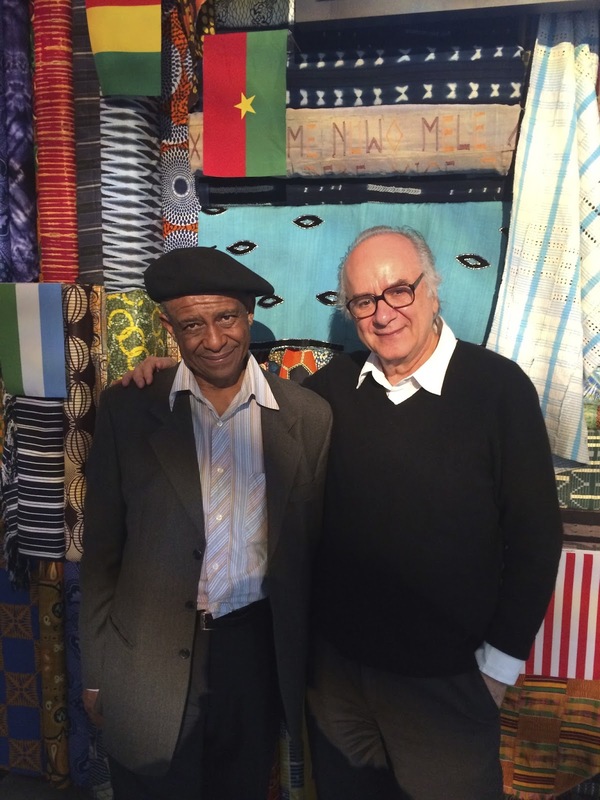 A focus of his work is ubuntu, the southern African concept in which philosophy, ontology and ethics are combined. 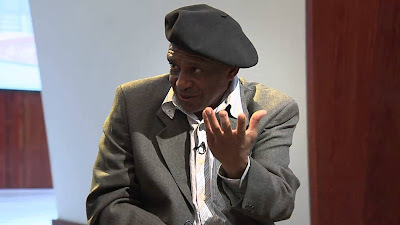 He derives his views on reparations to be paid for crimes committed under colonialism from ubuntu conceptions of justice. Ubuntu is a Nguni Bantu term meaning "humanity". It is often also translated as "humanity towards others” but is often used in a more philosophical sense to mean "the belief in a universal bond of sharing that connects all humanity". In Ramose’s view, the ubuntu African understanding of justice as balance and harmony demands the restoration of justice by reversing the dehumanizing consequences of colonial conquest and by eliminating racism. 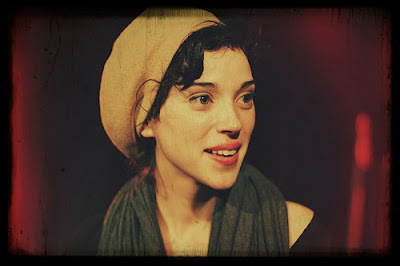 Anne Erin "Annie" Clark (1982), better known by her stage name St. Vincent, is an American musician, singer-songwriter, and multi-instrumentalist. After studying at Berklee College of Music for three years, she began her music career as a member of the Polyphonic Spree. 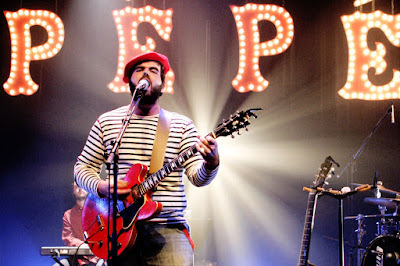 Clark was also a member of Sufjan Stevens's touring band before forming her own band in 2006. St. Vincent's work has received consistent praise for its distinct musical style, which blends soft rock, experimental rock, electropop, and jazz influences. Her debut album was Marry Me (2007), followed by Actor (2009), Strange Mercy (2011), St. Vincent (2014), and Masseduction (2017). 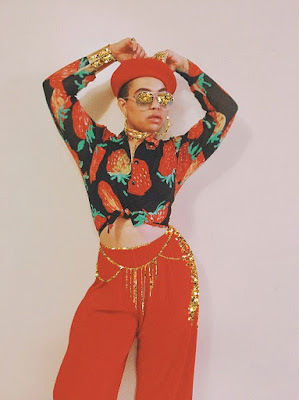 She released a collaborative album with David Byrne in 2012 titled Love This Giant. Clark also contributed backing vocals for Swans on their 2014 album, To Be Kind. Her fourth solo album, self-titled St. Vincent, was released on February 25, 2014 and was named album of the year by The Guardian, Entertainment Weekly, NME, and Slant Magazine, as well as second best album of the year by Time magazine. The album won her a Grammy for Best Alternative Album, her first Grammy award. She was the first solo female performer in 20 years to win a Grammy in that category. Artist Jean de Riquer was born in Oloron-Sainte-Marie in 1912 and died there on April 15, 1993, the son of Alexandre de Riquer, 7th Earl of Casa Davalos, known for his "art nouveau" works and leader of Catalan modernism. 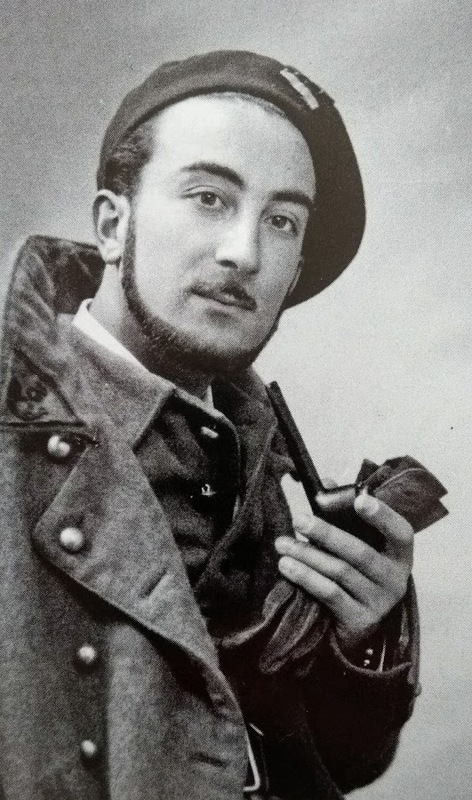 Jean de Riquer was mobilized in September 1939 and became a sergeant in a battalion of Chasseurs of the Pyrenees. 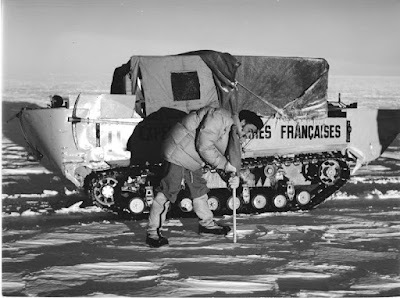 He fought from June 5 to 24, 1940, and received the Croix de Guerre. 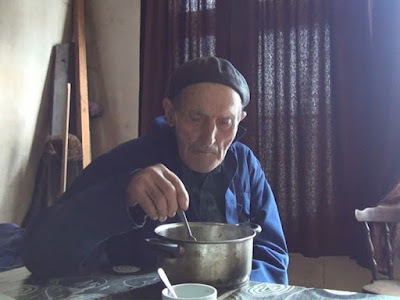 Demobilized, he resumed his duties at the town hall of Oloron and becomes a member of the Resistance. 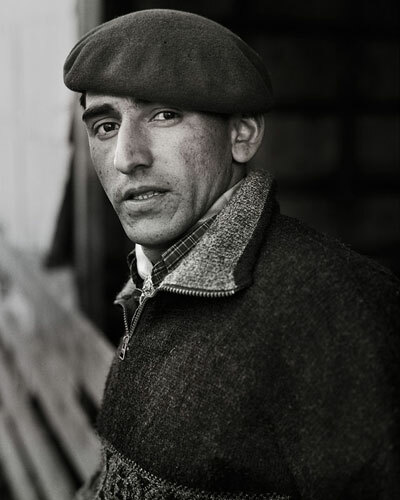 He creates a group to help fugitives providing identity cards, food, a passage to Spain through the valleys of Roncal and Isaba. 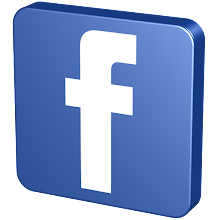 His group is active from mid-1942 to March 1943, when the group, but not Jean, is arrested by the Germans. 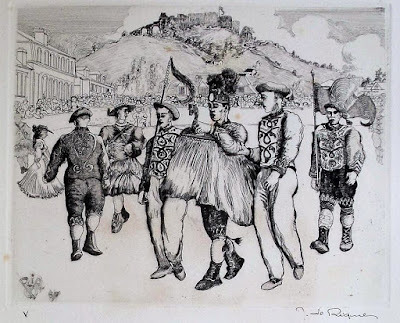 In 1944 he becomes chief of the Oloron company of the ORA, but is also arrested by the Gestapo in Pau. First he spent time in Fort Hâ in Bordeaux, later on he is deported and to Dachau and released on April 30, 1945 by US troops. After the end of the war, he resumed his duties at the town hall of Oloron-Sainte-Marie, continues his artistic activities and exploring. In 1950, he participated in an expedition of Paul-Emile Victor in Greenland and In 1952 he ascended Mount Ararat in search of Noah's ark.